WE NEED YOU! 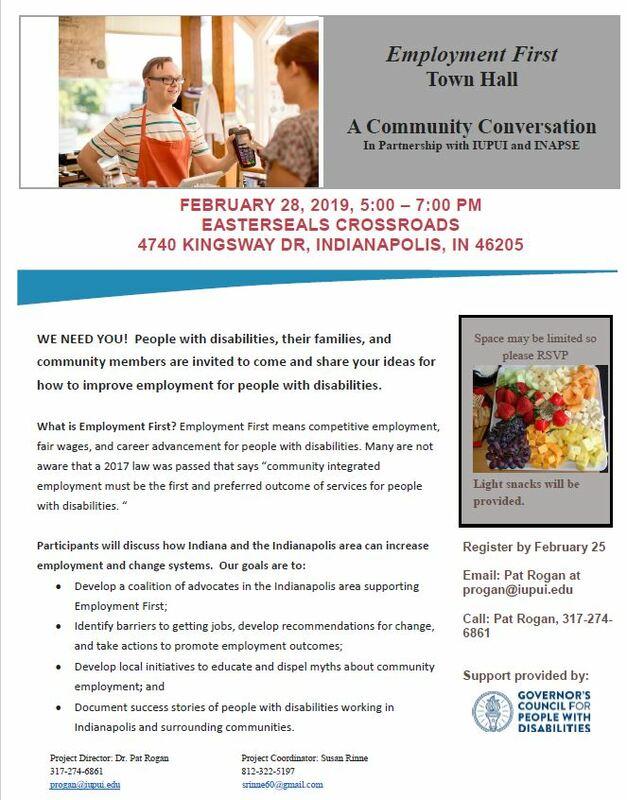 People with disabilities, their families, and community members are invited to come and share your ideas for how to improve employment for people with disabilities. • Document success stories of people with disabilities working in Indianapolis and surrounding communities.